Forgive the uselessness of this post as something beyond obvious but I learnt something new today. 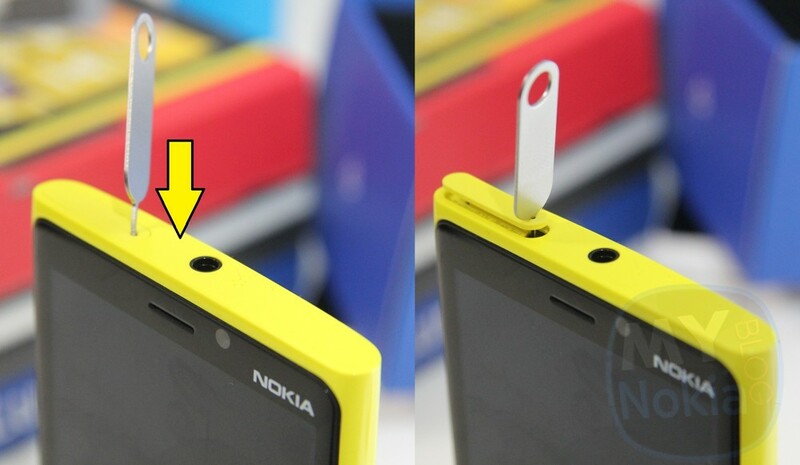 How to open the SIM tray on the Nokia Lumia 920/900. For some reason, I thought the metal key with a pin end was for hooking it out. A frustrating time where the top ends up slightly breaking and the key bent, never to be used again. Thanks to our readers who commented kindly, all you need to do is to actually push it and it simply and effortlessly pops out! You can then pull it out completely without the need for fishing with fingernails or whatnot. This will prevent the SIM tray flying across the room as seen in my unboxing (using the key wrong as a lever). I’m glad to know what I thought was a bad design from Nokia turns out to be quite clever once you have some common sense.